Mobile Auto Panel Fix are the most convenient and economical method for repairs to that minor dents, scratches, bumps, and refurbishment to your vehicle, boat, caravan, or airplane. 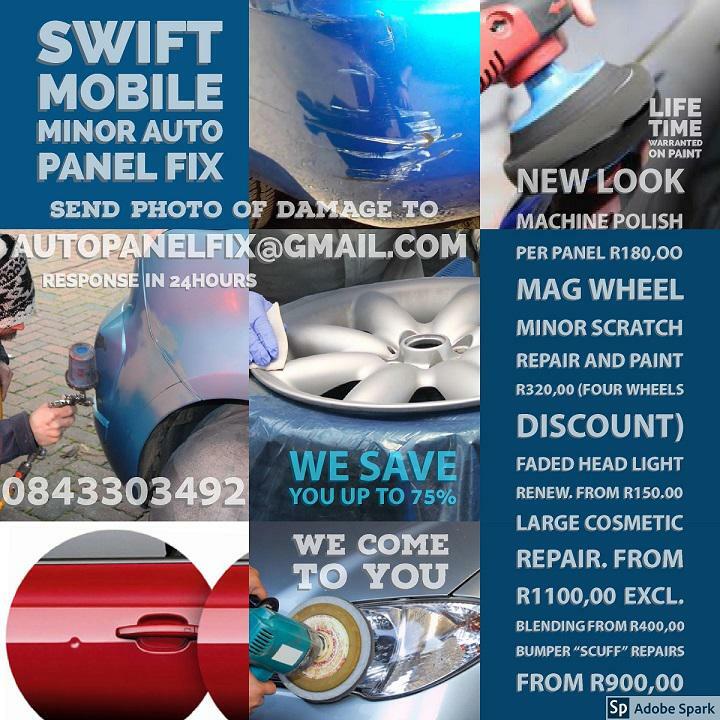 We offer remarkable service and life time warrantee on paintwork. We also repair scratches and repaint on most rims, and mag wheels. Head light restoration and complete polish for that brand new look. All repairs at a convenient location of your own choice. We service Gauteng but not limited and will consider other areas on request.